Il est prévu un nouvel album en 2013 qui, dans la forme, pourrait être une suite à Nostradamus. Guitarist Richie Faulkner, who replaced KK Downing in the band last year, tells Gibson that the band are looking to carry on recording new material after the summer after some initial recording sessions last year. "We are working on a new album. Glenn [Tipton, guitar] and Rob [Halford, vocals] started writing material early 2011 before I joined the band, and I got together with them earlier this year to work on some more tracks with them. We're getting together again after the summer to do some more writing and if all goes to plan, we might have the album out early next year. The ideas we have so far are sounding very strong and very PRIEST, so watch this space!" The album would be a follow-up to 2008's double concept album Nostradamus. Judas Priest plans to be screaming again soon -- not necessarily for vengeance, but with some new music to FOLLOW UP its 2008 concept album 'Nostradamus'. En gros, le prochain album sera une continuité de Nostradamus. JUDAS PRIEST est actuellement en studio pour enregistrer le successeur de "Nostradamus" (2008). Le 17ème album du groupe, et premier avec le guitariste Richie Faulkner, pourrait sortir fin 2013. D'après Rob Halford, ça devrait être un album puissant, simple et classique pour du Judas Priest. Une pincée de 'British Steel', un peu de 'Painkiller', et aussi un peu de 'Screaming For Vengeance'. Le DVD Epitaph a été repoussé au 24 mai. Le processus d'écriture du nouvel album est achevé. Un nouvel opus qui sera donc une suite de Nostradamus. Le groupe est en phase de production puisque ce sont nos compères qui s'en occupent. Sans doute auront-ils recours à un producteur confirmé ultérieurement. Legendary JUDAS PRIEST singer Rob Halford spoke with Gary Graff from Billboard about the band’s new album and follow-up to 2008′s concept piece Nostradamus. Priest plans to tour in support of the album, though not quite as extensively as it has in the past. 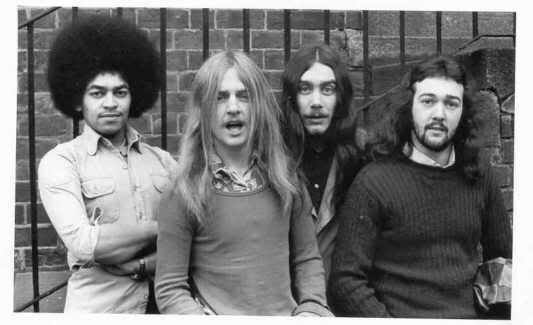 Next year will also mark the 40th anniversary of the group’s debut album, “Rocka Rolla,” which Halford says will be commemorated in some way. “We’ll be working furiously and manically in the studio cellars and conjuring up some special moments for next year, I’m sure of that,” he says. Après 13 du Sab qui avait été bien taillé par la Grosse Radio, c'est au tour de Redeemer Of Souls. Chronique avec laquelle je suis en total désaccord. Pour les fans, Judas Priest va sortir un nouveau vinyle en édition limitée. En 10" et contenant les 5 titres bonus du dernier album qui était actuellement réservés à la version "deluxe" en CD. "Judas Priest are very pleased to release a limited edition 10" vinyl entitled '5 SOULS' - it contains the 5 bonus tracks from the newest album REDEEMER OF SOULS (deluxe version) - this release will be sold on Record Store Day in the US only - November 28th 2014. Visit Recordstoreday.com for a retailer near you." Rob Halford est prêt à enregistrer un nouvel album ! "A chaque fois que j'entre dans le dressing room en tournée, je trouve Richie Faulkner en train de jouer de la guitare. C'est simple, ce mec ne lâche jamais son instrument. Donc j'entre, je le trouve, et je lui demande ce qu'il joue. Il me répond qu'il ne sait pas, donc je lui dis de tout enregistrer sur son iPhone, ce qu'il finit par faire. 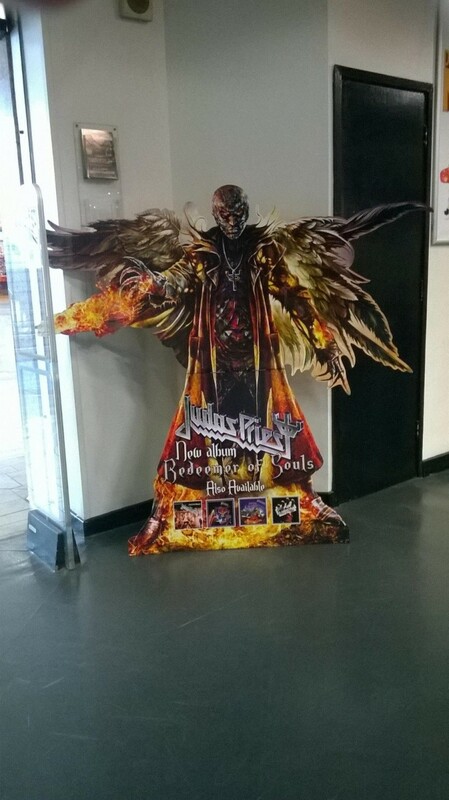 Depuis le début de "Redeemer Of Souls Tour", il fait çà. Ce que je suis en train de dire là, c'est que nous commençons déjà à collecter les riffs, tout comme les idées. Je suis prêt à recommencer. 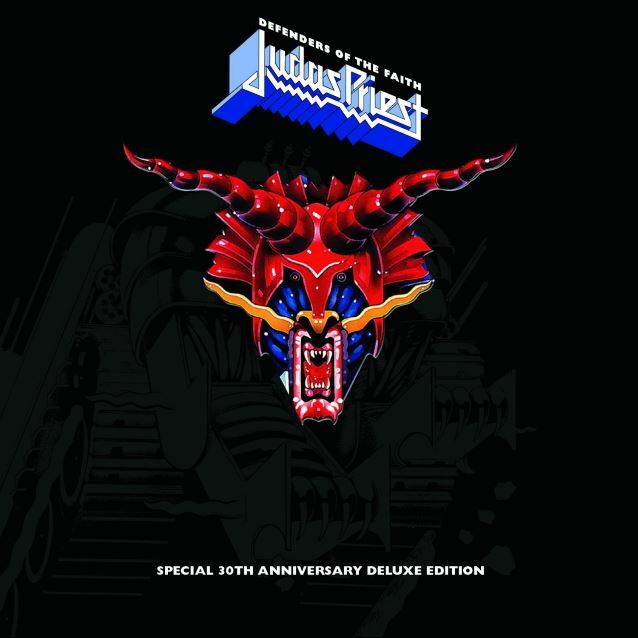 Je suis prêt à faire un autre album de JUDAS PRIEST. C'est ce vers quoi nous nous dirigeons.". "Si l'opportunité de faire un nouvel album de FIGHT se présente et est réalisable, pourquoi pas ?" Rob Halford vient tout juste d'annoncer que le groupe enregistrerait le successeur de Redeemer Of Souls l'année prochaine. Metal legends Judas Priest have added new North American dates to their ongoing Redeemer Of Souls tour. Newly added dates are listed below. 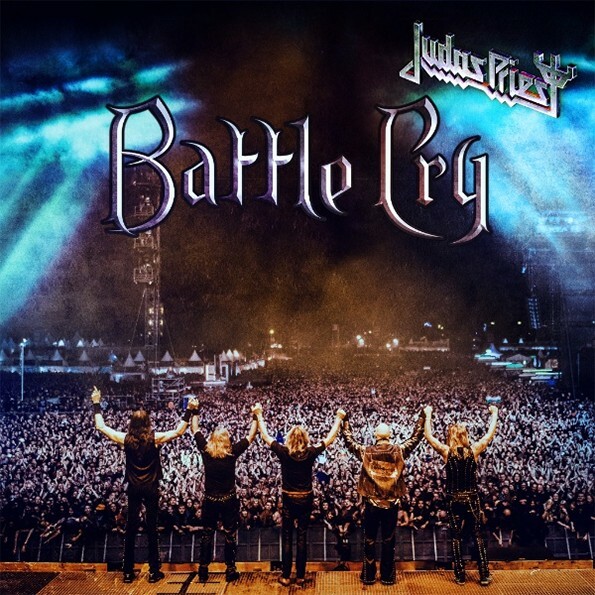 Recorded live on August 1st, 2015 at Germany’s Wacken Festival in front of an audience of 85,000, Battle Cry is available on a 15-track CD, with the entire show on Blu-ray and DVD (running over 94 minutes), as well as digital audio and video formats. 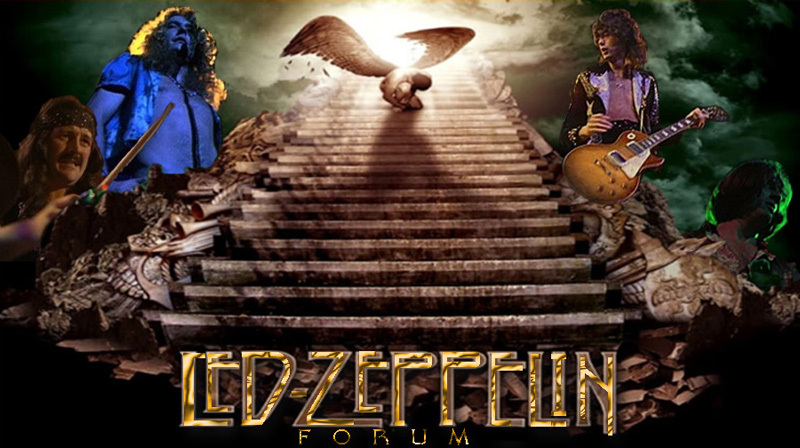 The DVD and Blu-ray also contains 3 bonus tracks shot in Poland on December 10th, 2015 at The Ergo Arena, Gdansk, Poland. What makes the show’s track listing so appealing is it balances new classics (“Dragonaut,” “Halls of Valhalla,” “Redeemer of Souls”) along with headbanging classics (“Metal Gods,” “Electric Eye,” “You’ve Got Another Thing Coming”), as well as key album tracks from yesteryear (“Devil’s Child,” “Beyond the Realms of Death,” “Jawbreaker”). Originally formed during the early ’70s in Birmingham, England, Priest is responsible for offering metal fans worldwide some of the genre’s most influential and landmark albums (1980’s ‘British Steel,’ 1982’s ‘Screaming for Vengeance,’ 1990’s ‘Painkiller,’ etc. ), while helping spread metal music to audiences not normally associated with the genre (Live Aid in 1985, and a surprise appearance on American Idol in 2011), and helping popularize the now instantly recognizable “denim and leather” look. Ex-JUDAS PRIEST guitarist K.K. Downing says that he would be open to reuniting with his former bandmates on the occasion of a hypothetical Rock And Roll Hall Of Fame induction. Asked by BlastEcho if he would be okay with performing with PRIEST again at the Rock Hall induction ceremony if they were to ever receive the honor, Downing said: "I'd be fine with anything like that." As for an official return to JUDAS PRIEST, Downing said: "Obviously, they have Richie there. MAIDEN has done the three-guitar player [thing], but I don't think there's room for an extra guitar player in PRIEST. 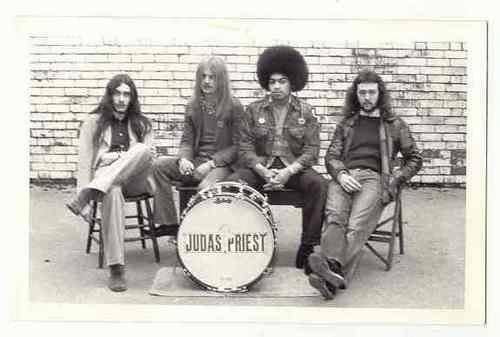 PRIEST has always been a two-guitar band so I can't see that working. We'll have to see what happens next." Downing went on to say that one way to guarantee his reunion with JUDAS PRIEST is to schedule a massive tour featuring of BLACK SABBATH, IRON MAIDEN and PRIEST. "It would be something I would have to be part of," he said. "Only because I'd like to see the greatest heavy-metal tour happen because it's never happened. And it's never gonna happen. Unfortunately, that chapter of history won't be there forever, which is kind of sad." K.K. told the "Rockin' Metal Revival" Internet radio show last year that he was optimistic that PRIEST would one day get inducted into the Rock And Roll Hall Of Fame. He said: "Well, I certainly hope so. But everything comes to us in the end, I guess and hope. As hard workers and as prolific a band as we've been, producing material and tours for so long, it was… not as though we really, really care about winning Grammys, but lots of other bands do. We're thinking, 'Why do we get pushed to the back of the queue?' So I guess the Hall Of Fame, there's still a lot of fantastic bands that have still not been let into the Hall Of Fame, but I guess that everyone's turn will come."